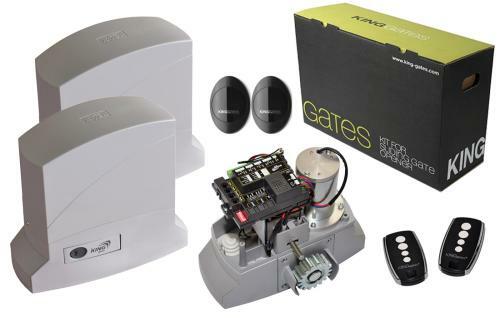 Gates Gates selected high-performing twin sliding gate automation kits by King Gates. The kits are suited for gates up to 1000 kg per gate leaf and a voltage of 230 volts. 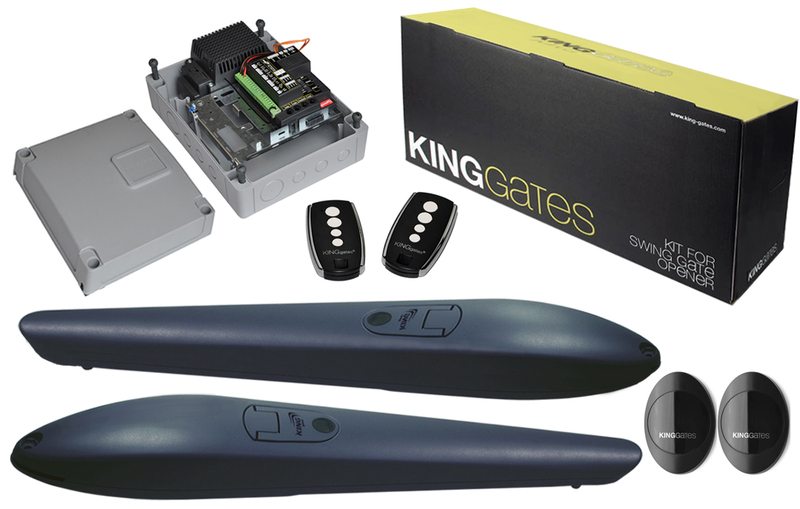 The gate kits include electric motors, a pair of infra red and two radio transmitters. The twin sliding gate kits available on our website offer an effective solution to easily automate your twin gates. Tjose automation systems are built up for security with safety edge input, pedestrian and obstacle detection. Please feel free to contact for any question you may have regarding our products. Our expert team will be delighted to answer you. 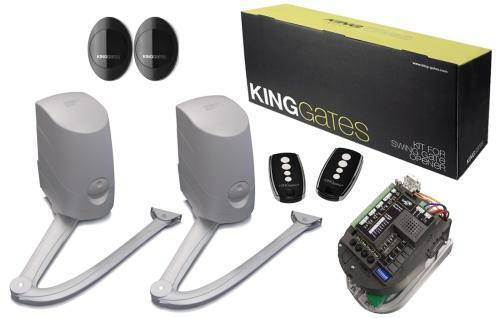 Find all the equipment you need to automate your gates on Gates Gates: Single sliding gate kits, Accessories for sliding gates and Swing gate kits.